Samsung launched a news about a new device Ace Style ( SM-G310HN ). 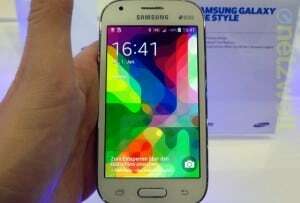 This is low-end handset, unlike previous Galaxy Ace phones. The plus of it is that being a low-end handset it features Android 4.4 KitKat, the newest software from Android. It seems that is has the same interface as Galaxy S5 too. But what about specs? Ace Style features a 4- inch screen, but we don’t know the resolution yet, a 4 MP rear camera, a VGA front camera and $ GB of internal memory. The official handbook with specs isn’t available yet, but it will definitively have a one SIM model and a dual SIM model as almost all of low-end handsets from Samsung. A surprise is the price. We expected at a much more smaller price. It is priced between $276 to $413 (200-300 EUR), which will make it hard for Samsung to sell it, as it has strong competitor like Lumia series form Nokia or Motorola’s handsets. We don’t know the official launch date yet, but Samsung will release more information in a couple of days.